“Will success last or fade away?” Netflix has released the official trailer for The Get Down — Part II. 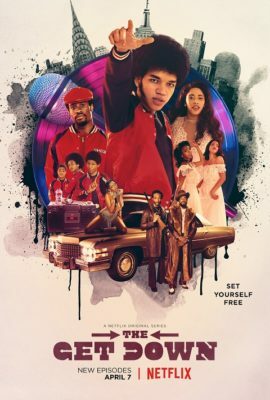 From Baz Luhrmann and Stephen Adly Guirgis, the drama explores the dying days of disco and the emergence of hip hop in late ’70s New York City. The cast includes Shameik Moore, Justice Smith, Herizen Guardiola, Yahya Abdul-Mateen II, Jaden Smith, Skylan Brooks, Tremaine Brown Jr., Mamoudou Athie, Jimmy Smits, and Giancarlo Esposito. The Get Down — Part II debuts on Netflix on April 7th. What do you think? Have you seen part one of The Get Down? Will you watch part two? More about: Netflix TV shows: canceled or renewed?, The Get Down, The Get Down: canceled or renewed?